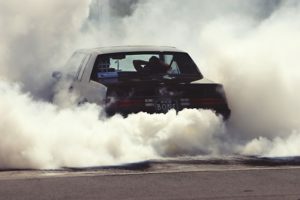 Looking at burning rubber may be cool to look at, especially in the movies but coming to a situation where your own car smells like burning rubber is just not cool. When dealing with such a smell, it’s definitely wise to have a look at your car for where the smell may be coming from but there are so many reasons why you may smell like rubber is burning in your car and creating a really strong stench. In this article, you will learn the most common causes of why your car is smelling like burning rubber. The answer to why you may sense a burning rubber smell in your car and not some other type of smell is because there are lots of rubber components, rubber hoses and other things made out of hard rubber which may be coming in contact with extreme heat, which is why your car may smell like burning rubber. All of these rubber parts are integral to your car’s engine and fitted quite close to the engine block which reaches high temperatures as you drive for long periods. But the reason behind the smell isn’t as simple as it gets. Sometimes, it can be caused by the engine’s gasket leaking, sometimes, the rubber hoses themselves may be touching directly the engine block and melting, burning the rubber and creating the smell and many times it may be related to some electrical problem or shortage. 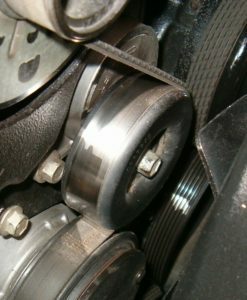 Since an engine contains many different belts such as the timing belt, compressor belt, and the steering belt, often times these belts worn out and start to slip, creating friction and as a result, you smell like burning rubber. Your engine block is bound and sealed with a seal called the gasket. The gasket itself may not be a technical piece but its purpose is just as critical. The seal sits between the two pieces of the engine block and contains and limits the oil and the compressed air and fuel mixture that’s required by the cylinders to ignite. If your engine’s gasket were to fail, your engine would leak hot oil coming directly from the engine block. The oil would be hot due to the engine getting hot after driving. That hot engine oil would then drip all over your engine parts, your engine’s rubber hoses, the belts and other areas which then creates the burning rubber smell in your car as you drive. But why would the gasket leak in the first place? Well, as engines tend to get extremely hot, they rely on the radiator for cooling. If you forget to check for the coolant level or simply drive on a hot day for a long period, this would cause the engine to reach even higher temperatures, excessively putting pressure on the gasket and heat it up. As rubber expands when heating, overheating it would result in the gasket blowing up and cause the oil to leak. In manual vehicles, the clutch is with what you get along and shift gears. Often it is the case that many people ride their clutch too hard. By riding it too hard, it means having the clutch depressed halfway while the gas pedal is also depressed. The basic working of the clutch is to match the speed of your car’s transmission and engine speed by pressing itself against the flywheel for a smooth transition from a stop to rolling motion. Of course, this involves some friction but riding the clutch means that the driver is not letting the clutch completely engage the flywheel and keep grinding against it. This creates a lot of heat and starts burning the clutch itself. Since the clutch is composed of a paper mesh, the excessive friction becomes the cause for your car to smell like burning rubber. As we discussed the various belts earlier, these belts are constantly under a bit of pressure and a bit of friction too as the engine runs. In situations related to driving belts, there can be multiple reasons for your car to smell like burning rubber. It may be that your air conditioner compressor pulley may be locked or jammed, causing the belt to just slip, creating heat and as a result a burning smell of rubber. The same problem can be interrelated with the power steering pump‘s pulley and belt. In other cases, that may be simply because the belts have gotten old and worn out, slipping at higher engine RPMs. As it is with oil, sometimes your radiator can leak the coolant. The coolant then spills over the engine block, which would be hot. This, in turn, would burn the coolant and create the burning smell, causing your car to smell like burning rubber after stopping your car after a long drive. The spilling of the coolant itself is something to be worried for as coolant is what helps to maintain your car’s engine temperature. Often times, when your car smells like burning rubber, the cause may not be due to something related to your car but something external like a shopping bag getting stuck in your engine bay during one of your road trips. The hot engine burning that shopper would also make the burning smell of rubber as in other cases. In such cases, all you need to do is check the engine compartment for any external object not belonging there. How to prevent or fix this stench problem? Look for a shopper bag or something else stuck in your engine compartment. If you spot something, take it out. If there’s nothing like that in your engine compartment, look for oil leaks. If you cannot find the obvious causes, you should get your car checked up immediately by a mechanic. It may be that your clutch is causing the smell. In either case, your car smelling like burning rubber is never a good sign and right after you sense such a smell, stop at your nearest mechanic shop and get your car checked up to prevent any major damage in the long run.